We offer our clients Data Logger DT99, which finds extensive application engineering and in manufacturing of electrical components, material handling equipments & control panel. These are manufactured at par with the prevailing industry standards to ensure compatibility with various applications. The clients can avail these components in bulk quantities at market leading prices. Wireless Data Loggers are also available. We offer our clients Data Logger DT99, which finds extensive application engineering and in manufacturing of electrical components, material handling equipments control panel. These are manufactured at par with the prevailing industry standards to ensure compatibility with various applications. The clients can avail these components in bulk quantities at market leading prices. 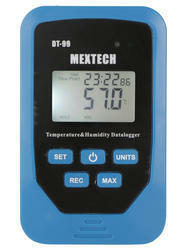 Wireless Data Loggers are also available.